Long before Kenshiro said, “You're already dead,” a different Kenshiro walked the violent streets of Shanghai. The city is in constant crisis as two mafia families battle one another for supremacy. In the crossfire, a little girl named Erika is orphaned and soon taken under the wing of martial artist Liu Fei-Yan. Sorrow seems to follow the girl, as every time Fei-Yan attempts to hand her off, her new guardians end up dead. 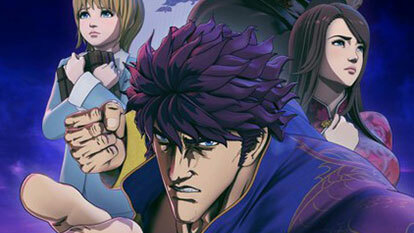 Fei-Yan decides to bring the girl to a man named Guise but instead crosses paths with powerful Kenshiro Kasumi.